Work Zones are changing the lives of jobseekers in west Cheshire and have been praised in a recent Ofsted inspection. Among those who have been helped is 30-year-old Zoe Winning from Blacon. 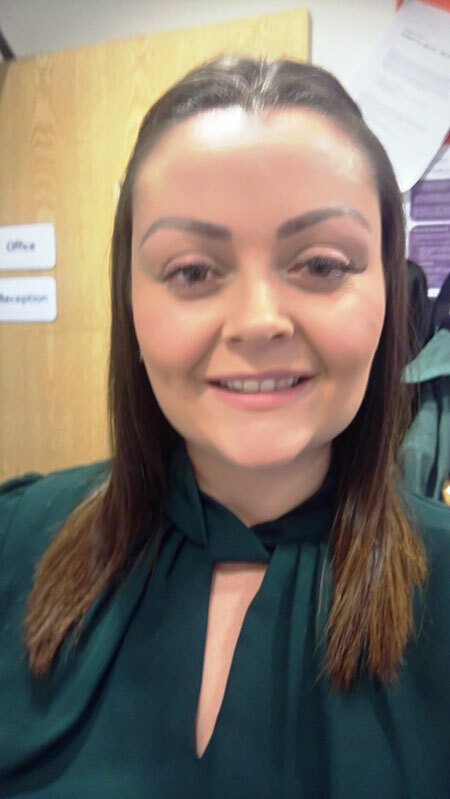 Unemployment was a frustrating time for Zoe, who was eager to start a new career in business administration. She was unhappy in her previous short term roles but her lack of confidence and experience prevented her finding a job. After working with the team at the Council-run Chester Work Zone, her life has been transformed and she is now working in her dream job. Work Zone mentors enrolled Zoe on courses in Microsoft Office, IT and administration. She completed voluntary work in a busy office environment. She learned data inputting, telephone skills, customer service and administration skills. Zoe was given practical interview advice and experienced mock interviews to develop her communication skills. She completed an English Level 1 qualification and had help to improve her CV. Zoe succeeded in securing an 18 month business administration apprenticeship. She said: “I feel these courses have hugely contributed to me getting my new position. All the staff at Chester work Zone have been incredibly supportive and helped my confidence in attending job interviews. There is a Work Zone in Chester, Ellesmere Port, Northwich and Winsford and each have Employment Support Mentors who assess people’s skills as well as taking stock of all the other factors that impact on their life before creating an agreed action plan that creates a pathway to achieve employment goals. Work Zone and the Council’ adult education provision had a seal of approval from Ofsted after it was graded as ‘good’ by inspectors in March. Louise Gittins, Cabinet Member for Communities and Wellbeing, said: “Work Zones are highly valued by our customers, partners and Ofsted which has awarded the service a good rating.